Karø Goldt’s video tulipa, like the previous films in her abstract plant-film series, concentrates on the formal interplay of color and sound. For this, Goldt once again uses a digital flower picture as the starting point for her cinematic conversation. 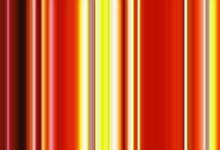 The picture is disaggregated into its color components and then transferred to an abstract stripe pattern. Thus, in tulipa, too, not much remains of the romantic genre of the flower picture other than the title and the electronically scanned color values of the original picture. Instead, the color dynamics of the picture are released from the flower motif and gain powerful intrinsic value through the consistent process of abstraction. The dynamic interplay of the color values and the spatial potential of the colors are thus revealed increasingly over the course of the color changes in the film.